Lactivists, like many purveyors of “natural” health, love to rewrite history. Just like the vaccine rejectionists love to pretend that vaccines were invented to treat diseases that “weren’t dangerous” or “were disappearing by themselves,” lactivists like to pretend that infant formula was invented despite the fact that there was no need for it, and an unholy alliance of formula makers and physicians subsequently tricked women believing in non-existent benefits. … In attempting to uncover the roots of our present circumstances, historical studies often portray women as passive in the face of medicine expertise, (male) physicians as engaged in conscious manipulation of (female) patients, or both. Although such analyses illuminate certain aspects of today’s situation, they ignore many important dynamics. This is especially the case for an issue of historical and contemporary importance — infant feeding. That’s because the real history of infant formula belies the lactivist fantasy that breastfeeding is easy, and that women unsullied by formula advertisements want to breastfeed and are “empowered” by doing so. The development of formula was not precipitated by pharmaceutical companies, rather it was precipitated by the reality that substantial numbers of women couldn’t or wouldn’t breastfeed their babies. Far from “creating” a need for formula, physicians, having failed to convince women that breastfeeding was a matter of life and death, were desperate to find a safe, nutritious substitute food for infants who were dying in droves. In other words, lactivists have it precisely backwards. 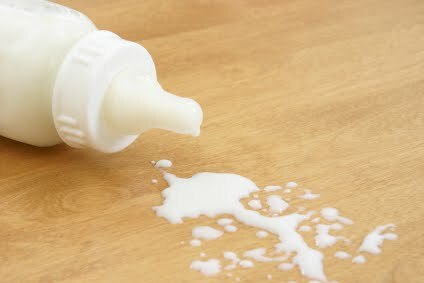 The custom of feeding cows’ milk via rags, bottles, cans and jars to babies rather than putting them to the breast became increasingly common in the last quarter of the nineteenth century progressed… In 1912, disconcerted physicians complained bitterly that the breastfeeding duration rate had declined steadily since the mid-nineteenth century “and now it is largely a question as to whether the mother will nurse her baby at all. A 1912 survey in Chicago … corroborated the allegation. Sixty-one percent of those women fed their infants at least some cows’ milk within weeks of giving birth. This refusal to breastfeed, or to breastfeed exclusively, let to soaring rates of infant mortality because cows’ milk was contaminated. But women did not want to go back to breastfeeding. Public health campaigns to increase breastfeeding rates were dismal failures; only one major city, Minneapolis, managed to increase breastfeeding rates enough to have an impact on infant mortality. Everywhere else, infant mortality due to contaminated cows’ milk did not begin to decrease until a substantial proportion of the milk supply was pasteurized. Ultimately, cows’ milk was replaced by infant formula, which more closely matches the composition of human milk, is sterilized and is very convenient to buy, store and use. The bottom line, though is that breastfeeding rates did not decline in response to the availability of breast milk substitutes. Breastfeeding rates declined substantially long before the advent of formula and even before the advent of safe breastmilk substitutes. The efforts of contemporary lactivists to raise breastfeeding rates are doomed to failure for the same reason that the efforts of the original lactivists, doctors, were doomed to failure. For many women, breastfeeding is difficult, uncomfortable and inconvenient. Instead of finding breastfeeding to be empowering, most women find bottle feeding to be both empowering and liberating.